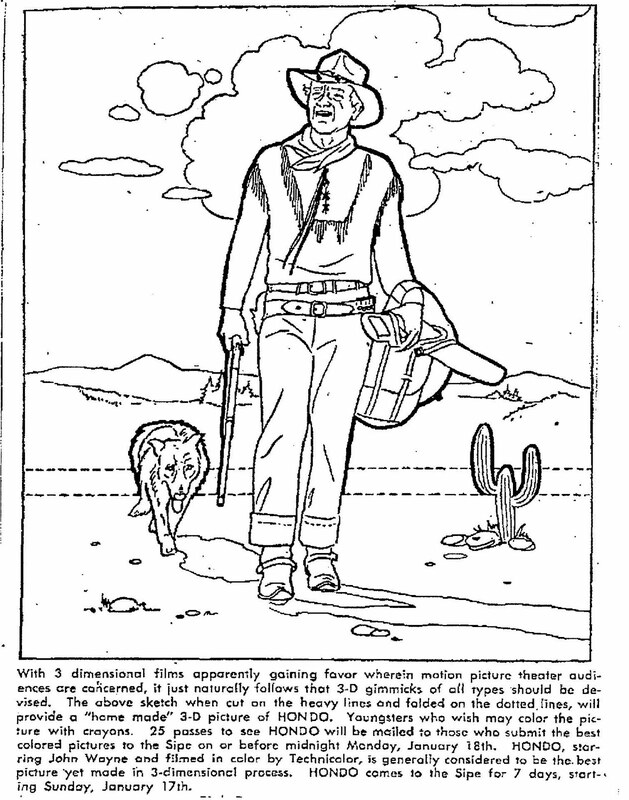 This coloring contest for the movie Hondo appeared in some newspapers in January of 1954. "Hondo" starred John Wayne, Geraldine Page, Ward Bond, Michael Pate, James Arness, Rodolfo Acosta, Leo Gordon, Lee Aaker and Lassie. From Leonard Maltin's Movie Guide - "Rousing, well done Western with John Wayne the tough, wily cavalry scout who comes upon Page and her young son living in the wilderness, unalarmed about a pending Apache uprising." 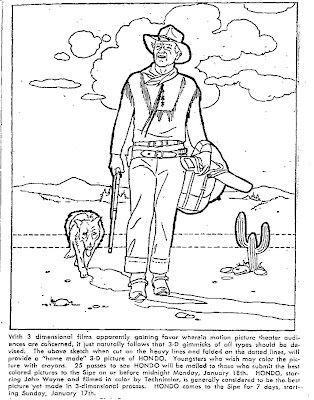 Script by James Edward Grant, from a story by Louis L'Amour. Directed by John Farrow. Originally shown in 3-D.